Gun sales to gays and lesbians are skyrocketing in the wake of the Orlando terror attack. Alleged Islamist Orlando attacker Omar Mateen was “angered” by watching two men kiss, according to The Daily Beast. His alleged attack on a gay nightclub–Pulse Orlando–killed approximately 50 and wounded 53. Fox 31 Denver reports that gun sales to gays and lesbians are now through the roof. George Horne owns Denver’s The Gun Room and he says business “for this time of year…[is] three to four times what [they] normally have.” He and other gun store owners and instructors say the surge isn’t unprecedented–there is usually one after a high-profile attack–but what is unprecedented are the numbers of gay and lesbian customers. 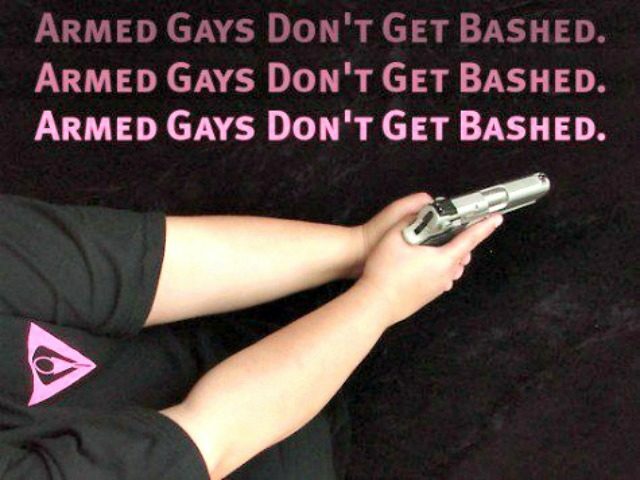 The Pink Pistols–a gay gun rights group–saw their membership grow over 100 percent on June 13 alone.